At first blush, Twitter appears to be an easy and friendly medium. But don't be deceived: it's also powerful and complex, supporting a rich third-party ecosystem and tapping subtle human dynamics. In this webcast, Tim O'Reilly and Sarah Milstein, Twitter experts and coauthors of the The Twitter Book, will show you how to use Twitter more effectively, whether you're on the site for personal socializing or to meet business goals. They'll explain why Twitter is emerging as an important channel, and they'll share key tips--along with compelling, real-life examples--from power users. The presentation will be followed by attendee Q&A. 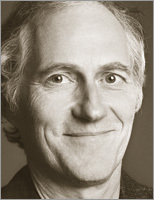 Tim O'Reilly (@timoreilly) is the founder and CEO of O'Reilly Media, Inc., thought by many to be the best computer book publisher in the world, and an activist for open standards. O'Reilly Media also publishes online through the O'Reilly Network and hosts conferences on technology topics, including the O'Reilly Open Source Convention, the O'Reilly Emerging Technology Conference, the Web 2.0 Summit, the Web 2.0 Expo, and the Gov 2.0 Summit. Tim's blog, the O'Reilly Radar, "watches the alpha geeks" to determine emerging technology trends, and serves as a platform for advocacy about issues of importance to the technical community. For everything Tim, see tim.oreilly.com. 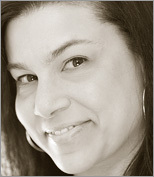 Sarah Milstein (@sarahm) writes, speaks and teaches frequently on Twitter. She is also cofounder of 20slides.com, a site for lively, work-related workshops. Previously, she was on the senior editorial staff at O'Reilly, where she founded the Tools of Change for Publishing conference (TOC) and led the development of the Missing Manuals, a best-selling series of computer books for nongeeks. She's written for the series, too, coauthoring Google: The Missing Manual. Before joining O'Reilly, Sarah was a freelance writer and editor, and a regular contributor to The New York Times. She was also a program founder for Just Food, a local-food-and-farms non-profit, and cofounder of Two Tomatoes Records, a label that distributes and promotes the work of children's musician Laurie Berkner.